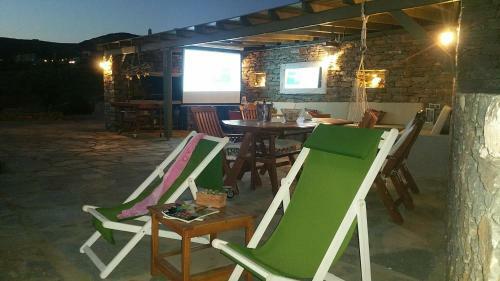 I really enjoyed my stay at Sea&Stone Villas, a really peaceful place in the beautiful island of Kea (Tzia). The stuff was amazingly friendly and helped me feel comfortable from the very first minute. The facilities provide nicely renovated villas, with attention to the details and breathtaking sunset views. 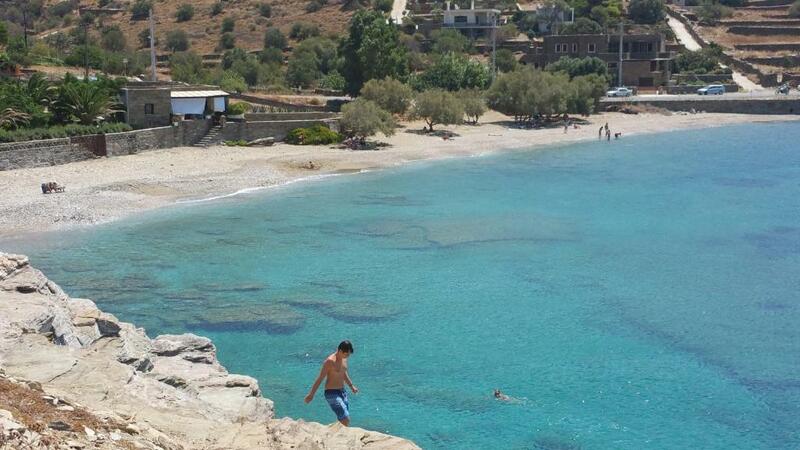 Sea & Stone Villas is located very close to the beach, pratically 2 mins walking distance from Koundouraki beach where somebody can relax and enjoy swimming all day. It's a pleasure meeting such nice persons and high standards facilities when you are on vacation. The place was very nice and the owner was very kind and helpful . Apartments are new and very good looking, well cleaned, in order and nicely furnished. Andreas, the owner, is just lovely: very helpful and incredibly kind. 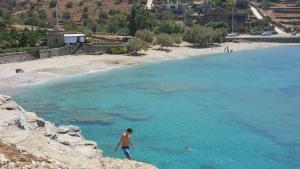 The beaches close by (walking distance) are nice, plenty of services and water is crystal clear. Andreas provided with a mattress topper and coffee plunger on request - made our holiday. Andreas and Katerina were delightful and caring hosts. Nothing was too much trouble for them. 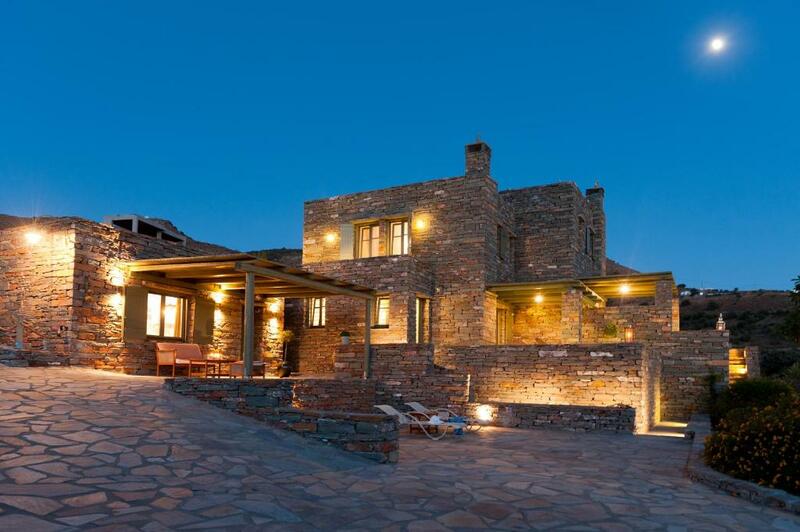 The property was very well finished and there were wonderful views to enjoy. It was a great place to stay and I can recommend it most highly. Lock in a great price for Sea & Stone Villas – rated 9.4 by recent guests! One of our best sellers in Koundouros! Located in Koundouros, Sea & Stone Villas has accommodations with a seating area, a flat-screen TV and a kitchen. Free WiFi is featured. Each unit comes with an oven, toaster, a coffee machine, as well as a fridge and electric tea pot. A terrace with sea views is offered in each unit. When would you like to stay at Sea & Stone Villas? 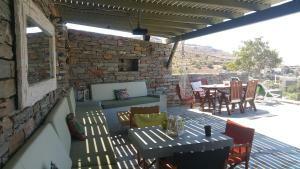 This villa features a balcony, tea/coffee maker and kitchenware. 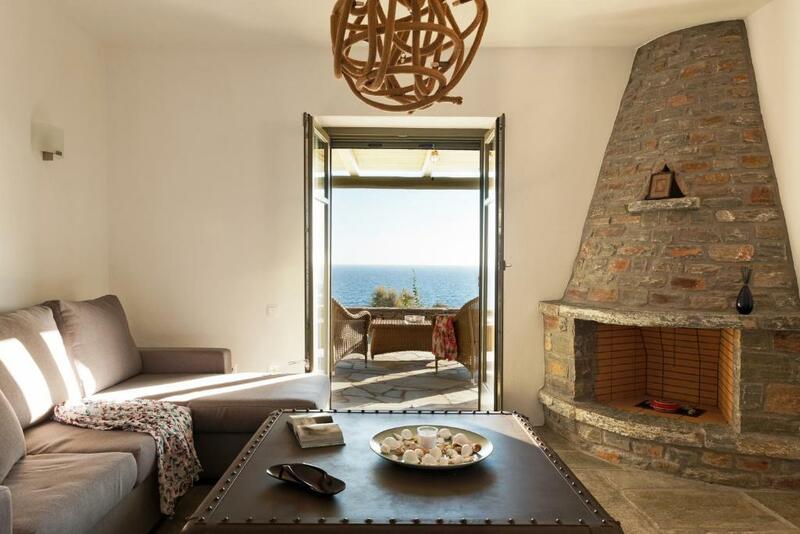 Stone Beach Front luxury Suite is a newly built unique construction which was completed in 2015 and is perfectly adjusted to the landscape in the cubistic style of the island Kea. 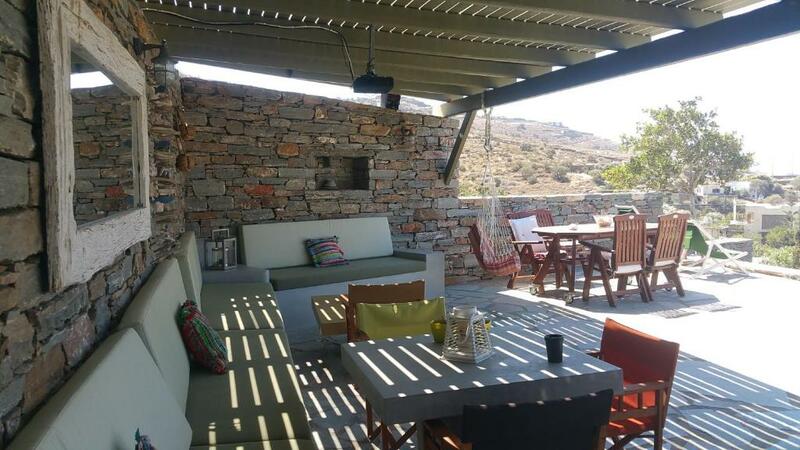 In an altitude of 20 meters the house has a view overlooking a part of Koundouros gulf.It has been tastefully decorated in modern fabrics and furniture in a pleasant combination with the traditional stone elements of the island. Surrounded by nature the Villa stands on a property of about 2.300sq.m.The Villa “Sea” of 100 sq.m and the Suite “Stone” of 50sq.m. are offered to our guests and are ideal to accommodate up to 10 people.Both residences have different entrances, outside areas, shaded private parking spaces with capacity of four cars and access to a 60 sq.m. 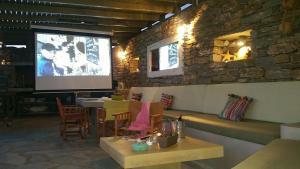 of real shaded terrace with sea and sunset view, hardwood outside furniture, lounge chairs and BBQ. An outdoor shower is also provided.All rooms are air conditioned and all windows are equipped with pull down insect screens.Service Cleaning and Change of linen every three days.Guests will have access to the whole areas and upon arrival will receive keys for each residence as well as two remotes for the garage door and alarm system. House Rules Sea & Stone Villas takes special requests – add in the next step! Please inform Sea & Stone Villas of your expected arrival time in advance. You can use the Special Requests box when booking, or contact the property directly using the contact details in your confirmation.